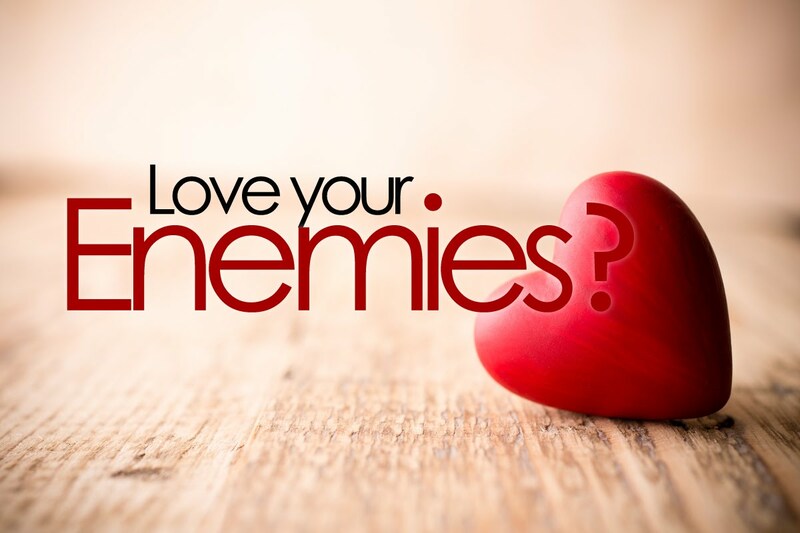 Walking with Jesus: Day 111: Luke 6:20-36 & Psalm 111 - What Does It Look Like to Love Our Enemies? 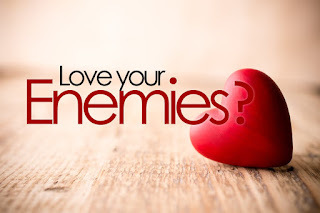 Day 111: Luke 6:20-36 & Psalm 111 - What Does It Look Like to Love Our Enemies? What Does It Look Like to Love Our Enemies? Jesus confronts and powerfully rebukes the value system of this fallen world. In today's passage, He pronounces God's blessing on all the kinds of people the world despises and pronounces woes on all the kinds of people the world celebrates. And so the poor, the hungry, the weeping and the hated are all blessed by Jesus, but the rich, the satisfied and the popular are all warned to change their ways. Then, as if this list of blessings and woes wasn't enough, Jesus clearly and unmistakably calls His followers to love their enemies. Given our human nature, it might be easy for the poor and despised Christ-followers to hear the blessings and woes and start to gloat inwardly. The blessed hated and hungry poor could even begin to relish the day of retribution and even begin to act snotty, rude, arrogant and boastful toward their enemies. Jesus tells us that such behavior is not appropriate for His followers. 1. Do good to those who hate you. What if we went out of way to be kind and loving to those who hate Christianity? What is you invited your atheist friends to dinner, not to try to convert them, but just to show them hospitality? What if you asked them how they're doing and listened to what they had to say? What if you cared enough to find out what their needs are and then sought to meet their needs? 2. Bless those who curse you. What if, in any discussion of religious belief, we were always respectful and kind, no matter what the other person said to us? What if we sought to bless and encourage rather than to insult and demean just to "win"? What if we intentionally assumed the best about our ideological adversaries, even if they assume the worst of us? 3. Pray for those who abuse you. Do you pray for the people in our culture who hate and bash Christians? Do you pray for your neighbors, family members or co-workers who do not know the Lord, especially for those who attack your faith and ridicule religion? If you pray for the persecuted church worldwide, do you also pray for their persecutors? Jesus told us that it is easy to love those who love us. Because it is easy, it is unremarkable and ineffective in showing the love of Jesus to a watching world. If we love those who love us, we are no different than the culture around us and we have no credibility as the salt of the earth and the light of the world. But if we will love, not as other love us but as Christ has loved us, then the world might catch a glimpse of His love through us. Wouldn't that be worth the sacrifice? and Your righteousness endures forever. You, Lord, are gracious and merciful. You remembers Your covenant forever. in giving to us, by Your grace, the inheritance of the nations. You have commanded Your covenant forever. Holy and awesome is Your name!